Pentax C1614-M 16mm TV Lens Screw Mount and Sensor Board BD Innova Processor . New Life Scientific, Inc. 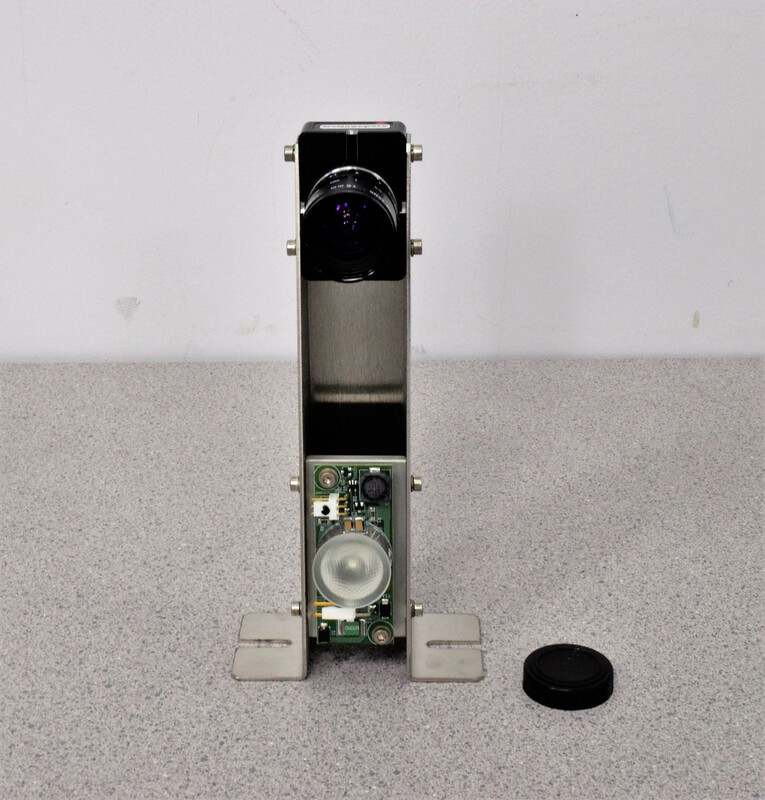 This is a camera assembly from a BD Innova Microbiology Specimen Processor. It appears to be in good condition with no scratches or blemishes on the lens. There are 5 cameras in the processor and I believe this one is the Decapper/Barcode Camera (Bridge Camera). It reads the barcodes on the incoming sample containers. Verifies that the cap is initially present, that the cap is removed and replaced correctly, and that the swab is present (when running Eswabs). The camera itself is a screw mount Pentax C1614-M, with a 16mm TV Lens.